Author's note. It is not exactly certain by the author which karate master, Matsumora, the resource was referring to since only his last name was given. Additionally, the time frame surrounding the story of the bandits is also not certain since no dates were provided. It is the author's belief that it was several centuries ago, possibly in the 17th or 18th Century. This is pending further research. 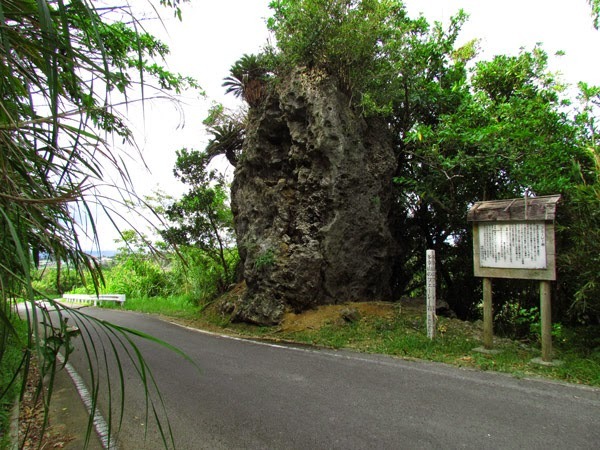 The Fere Rock sits along an extensive historical trail that covers the Yamada Castle Ruins and other notable historical areas soon to be mapped. Source of Information. 1. Onna Village History and Culture Publication dated March 2000, published by the Onna Village Office. Directions. 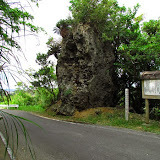 Take Highway 58 and then get on Highway 6 as if you are going to Maeda Point. 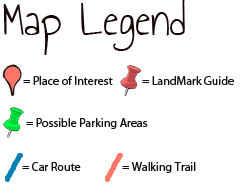 Your first LandMark is the tourist sign for Cape Maeda (designated by the LandMark pin in the map). 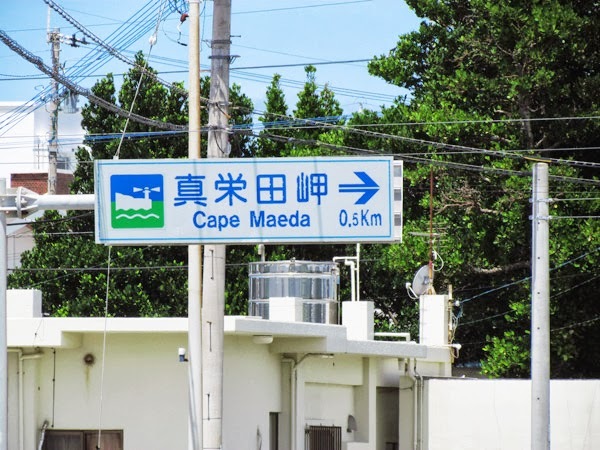 The next LandMark is almost immediately after the Cape Maeda sign. 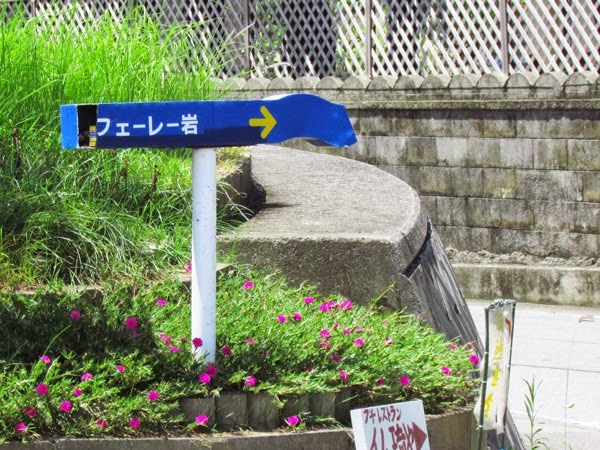 It is designated by a small blue sign with the Katakana writing that as seen in this picture or looks like this when written 'フェーレー'岩' . This is where you turn off. Follow this road south for 1km. It may seem somewhat windy but eventually you will see the rock on the left-hand side with a historical sign written in Japanese.